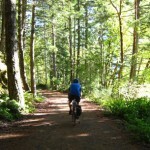 Has this spring like weather got you psyched for a new season of bicycling? Then put the Seattle Bike Show on your calendar this weekend. The two-day show (Feb 28/Mar 1) brings together top industry manufacturers, retailers, tour providers, advocates and media for two days of trying out the latest gear, exploring event rides and tours, finding ways to get more involved, and getting consumers ready for the 2015 cycling season. This year the show has a new venue, CenturyLink Field Event Center, and 150+ exhibitors. Washington Bikes will be on hand with a booth (#1135), so drop by to say hi, grab some community bike maps and other helpful biking information. 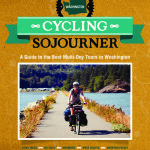 We’ll be distributing info on some great Washington bike rides and selling copies of Cycling Sojourner: A Guide to the Best Multi-Day Tours in Washington. A performance area will have the latest and greatest demonstrations to learn, educate and enhance your biking experience. There will also be a Classic Bike Show featuring some of the most spectacular and historic bikes in the nation. The 2015 Seattle Bike Show is being produced by Cascadia Events in partnership with Cascade Bicycle Club. Bike valet parking will be provided by Bike Works, so plan to ride your bike to the show. Tickets are $10 and include access to the Travel, Trips & Adventure Expo. 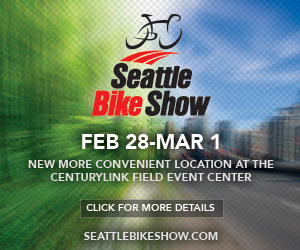 Visit seattlebikeshow.com to learn about the show. 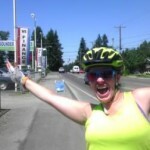 This article was posted in Adventure, Events, Gear/Maintenance, King County, Rides, Seattle, Tourism, Travel and tagged bike tours, bike travel, Seattle. Bookmark the permalink. Follow comments with the RSS feed for this post. 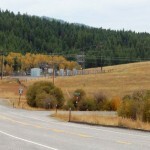 Both comments and trackbacks are closed.